Went to his new home on Tuesday 28th March 2017 . 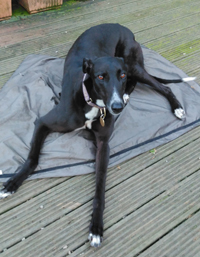 Buddy is a 3 year old black ex-racing greyhound who weighs 34.25 kg. 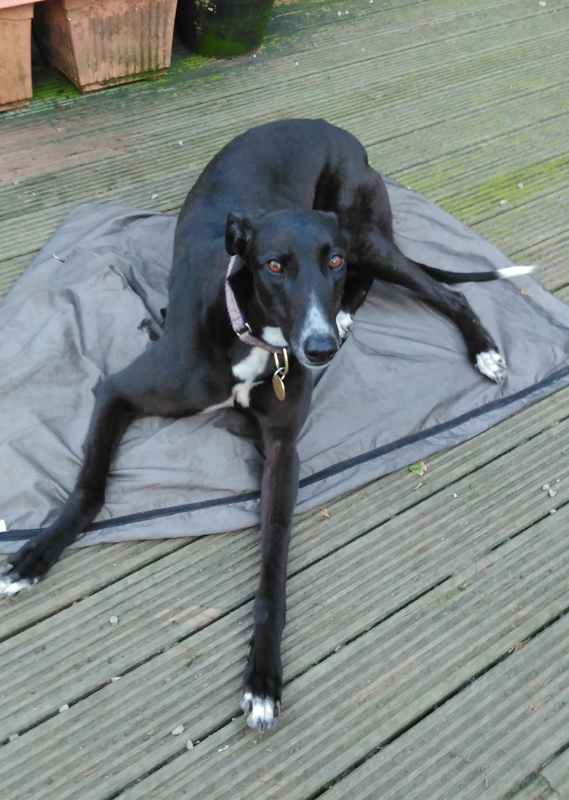 He is house trained, neutered, inoculated and microchipped, has a lovely nature and is a friendly lad who walks nicely on the lead, is fine with children and when he meets other breeds of dogs on his walks he ignores them. Since being here he's been for a walk with a terrier whom he appeared okay with.